Out with short-form and in with the long-form video. 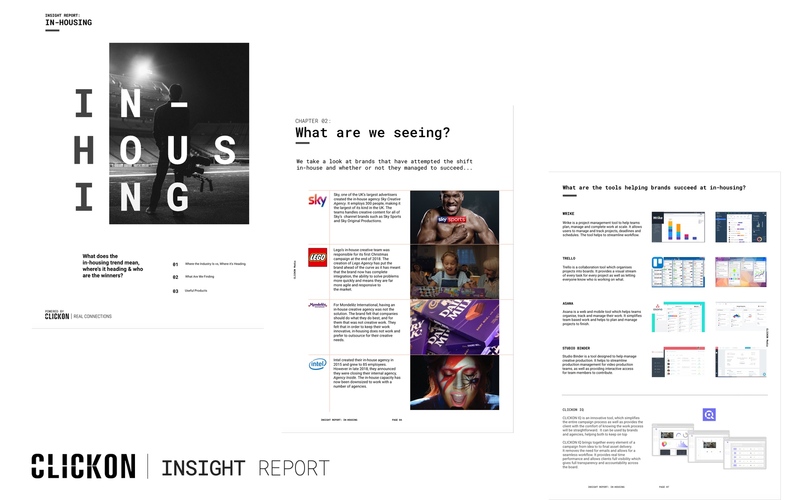 Marketers are noting a change in viewers’ behaviour when engaging with content. The content you share in videos is crucial in achieving high levels of engagement. 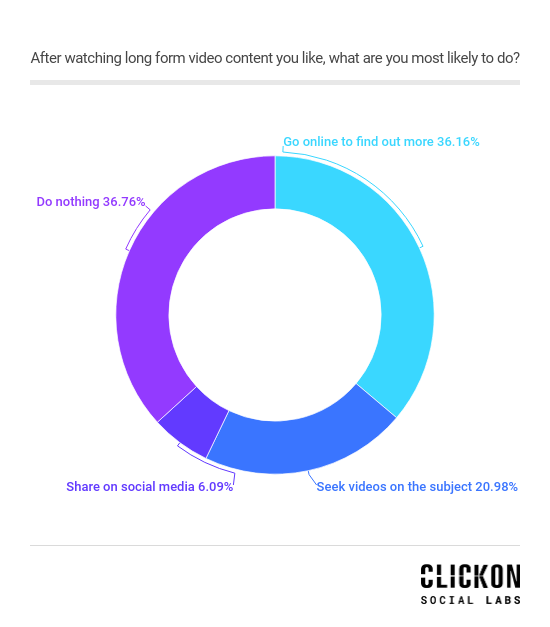 Through our poll, assessing viewers behaviour after consuming video content, we can see that short form generates twice the number of shares. 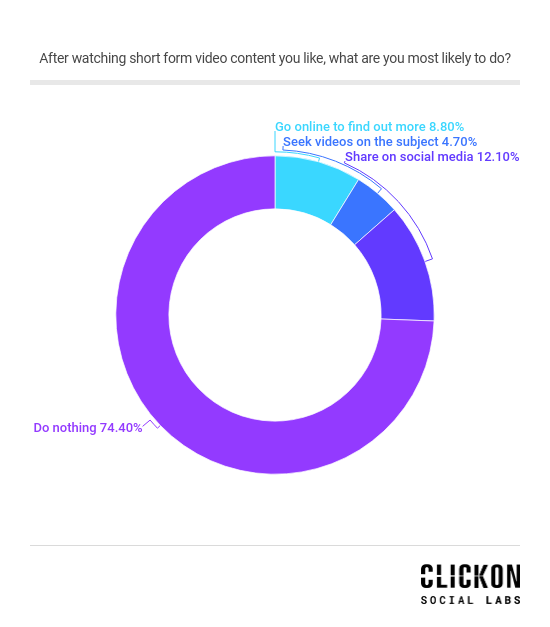 36% of long form viewers go online to find out more about the content they saw compared to 74% of short form viewers that do nothing after watching the content. Long form content will have a deeper impact on its audience. As proven by the polls, long form leads the viewers to go beyond the video to gain more information. To stay ahead in the market, adopting long form video content will create brand loyalty from your viewers, by forming a real connection. In the past, short form video was considered the best way to engage with millennials, due to the assumption that they had a shorter attention span which would not allow them to concentrate for more than the traditional 15-30 second ad. This trend appears to be a thing of the past now, as marketers are trying their best to keep this large demographic engaged. Platforms like Netflix and Hulu are removing this stigma and very clearly demonstrating that millennials can, and will concentrate for longer periods. Although these streaming services provide a different genre of video to ads, the point still stands that if you, as an advertiser, provide your viewers with engaging video content, they will commit and see the video through, regardless of the duration. After watching long form video content you like, what are you most likely to do? After watching short form video content you like, what are you most likely to do? Despite short form generating twice the number of shares, where is the value in this if almost twice as many people do nothing after seeing this video? Long form causes far deeper engagement through setting the viewers on a journey of discovery. If brands want to connect on a deeper level with their audience - which should be their priority - then they need to think about creating long form content. Although it may not go as viral, it will have a longer and deeper impact and this is what you want for your audience as it ensures your brand stays on their radar. In another poll conducted by CLICKON Social Labs, out of 1900 respondents, 90% said they were more likely to purchase from a brand they connect with emotionally. At CLICKON we believe that in order to connect with humans on a deeper level, you must in turn, have a human approach. So, if brands want to gain a more loyal following, they should consider creating longer form video content centered on telling human stories, that will allow their audiences to get invested with and as a result, make a real connection.